Lately, there has been a fair amount of media coverage about the damage that high water levels have been causing to property on the southern shore of Lake Ontario. Irate property owners have been requesting relief from their representatives and after Governor Cuomo visited affected areas, the state of New York allocated $22 million to help homeowners, towns, and businesses that were damaged by flooding. However, in spite of these relief programs, many shoreline residents would like the U.S. to withdraw from Plan 2014 because they feel that the plan caused their problems. Withdrawing from Plan 2014 will not help because the real culprit is Mother Nature. The current high water levels are primarily due to very heavy precipitation in the Eastern Great Lakes region since late March and is not directly human caused. The recently adopted management Plan 2014 is NOT significantly contributing to the 33 inches above previous water levels. It is an unfortunate coincidence that a very rainy spring occurred at the same time that Plan 2014 came into effect. Onondaga Audubon owns two lakeshore properties – Noyes Sanctuary and Derby Hill. The erosion of the bluff at Derby Hill gives us a direct seat in the game. However, most bluff erosion is from rainfall not lake levels as water bleeds out of the bluffs. This has been going on since the glaciers departed and all we can do is keep moving the safety fence back. In the short run, people, some wildlife, and the dunes will all take a hit, but all will be better off in the long run. We had hoped to see the return of nesting endangered Piping Plovers at Sandy Pond, but the high water has eliminated all the places where that might have occurred. On the other hand, the current high water is already providing noticeable restoration benefits to critical wetland ecosystems. Several species of wildlife are already receiving benefits and include American Bittern, various types of waterfowl, Black Tern and other marsh birds, and several species of fish, including northern pike. Since habitat is being enhanced, the benefits to wildlife will continue into the future. 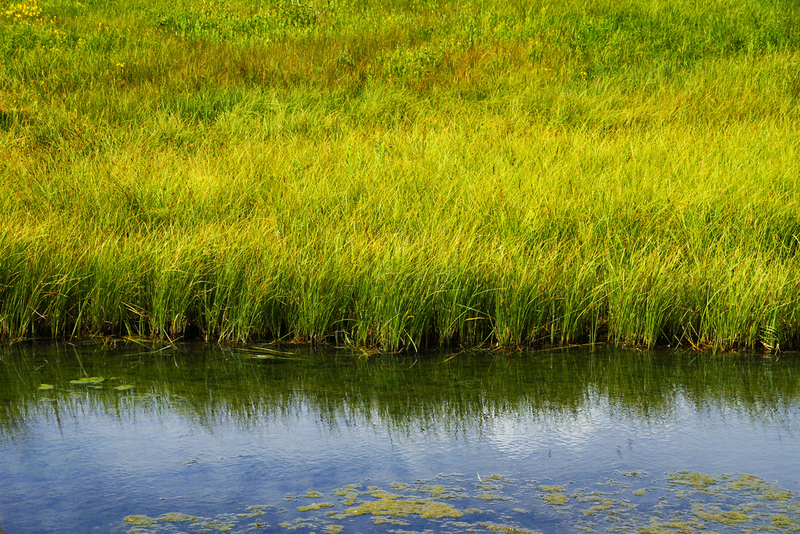 It’s important to remember that all water bodies undergo natural fluctuations and these are critical to maintaining their ecological viability. The reduction of the range of these fluctuations over the last six decades has greatly damaged critical wetland ecosystems. Humans got used to the unnatural lack of fluctuation and continued to build homes in areas that were prone to flooding. In the long run, the benefits of allowing more natural fluctuations for birds, people, and all living with things far outweigh the damage that lakeshore residents are now experiencing. It’s only temporary and these same individuals will be thrilled when a low water cycle occurs. Lake Ontario and St. Lawrence River Water Levels: Follow the Science! Buffalo, NY—Environmental organizations are calling for decision makers to seek science-based solutions to high water levels along Lake Ontario and the St. Lawrence River, and are pushing back against irresponsible and misleading claims that Plan 2014 is to blame. All of the experts—from the International Joint Commission, to the Army Corps of Engineers, to a well-known critic of Plan 2014 that serves on the International Lake Ontario-St Lawrence River Board —agree that current conditions are due to heavy precipitation and snowmelt entering the lake and river, and not Plan 2014. The groups are applauding Governor Cuomo and the NY Legislature for providing much needed resources and funding to assist the people, communities, and businesses impacted by the severe weather. At the same time, they also encourage policymakers to continue to focus on appropriate solutions, and not scapegoat Plan 2014. “We commend the Governor for his leadership to address recent flooding with much-needed funding for residents, municipalities, and businesses. These resources are critical to address the flooding caused by record precipitation entering the lake and river,” said Brian Smith, Associate Executive Director for Citizens Campaign for the Environment. “What we need now is continued support from the state, along with support from the federal government, to put us on a path forward that will allow our shoreline communities to become more resilient, reduce risk to people during these events, and move people and infrastructure out of harm’s way. Many politicians, in an effort to avoid the real vulnerabilities of shoreline living, have ignored the science on lake levels for years, and their continued anti-Plan 2014 rhetoric is not unexpected. Environmental organizations, however, were particularly concerned and disappointed with recent comments made in Greece by Governor Cuomo, essentially blaming the International Joint Commission for the problem. “Throughout his time in office Governor Cuomo has demonstrated time after time that he makes decisions based on sound science and objective analysis. Unfortunately, the Governor’s suggestion that the IJC is to blame for recent flooding is not at all supported by science. Moving forward, we hope that the Governor will continue with his leadership to implement evidence-based solutions to the devastating impacts shoreline property owners are facing. Scapegoating Plan 2014 is not supported by science, nor does it help New Yorkers,” continued Smith. “The solution to this year’s high water is not a return to a plan under which the same conditions have repeatedly occurred. Instead we need to use our resources and political will to assist those impacted now and ensure what we build takes Nature’s role and the reality of dynamic water bodies and shorelines into account,” said Lee Willbanks, Upper St. Lawrence Riverkeeper & Executive Director, Save The River. Plan 2014 went into effect on January 7, 2017 after over 10 years of scientific study and stakeholder input. The new plan does a skillful job of balancing all of society’s needs – hydropower, shoreline protection along Lake Ontario and in Montreal, commercial shipping, outdoor recreation like boating and fishing, and the need for a healthy environment in Lake Ontario and the St. Lawrence River. This modern, balanced plan will restore up to 64,000 acres of wetlands along the lake and river, continue commercial shipping, rebound populations of fish and wildlife such as the Northern Pike and Black Tern, increase hydroelectric power production by $5.3 million annually, boost revenue from recreational activity along the St. Lawrence River and Lake Ontario by $9.1 million annually, and continue over 50 years of significant shoreline protection. Once again, Onondaga Audubon in partnership with the Lake Ontario Piping Plover Working Group (includes Audubon New York, NYS Department of Environmental Conservation, NYS Office of Parks, Recreation and Historic Preservation, Onondaga Audubon, SUNY ESF, and US Fish and Wildlife Service) is seeking volunteers to assist with the stewardship of Piping Plovers on the beaches of eastern Lake Ontario during the 2017 breeding season. e returned. Each visit takes about a half day. The greatest demand will be on busy weekends and sunny days during the summer months when volunteers will assist staff with monitoring and outreach. In the early spring, we scout all potential nesting sites including El Dorado Beach Preserve, Black Pond Wildlife Management Area, Sandy Island Beach State Park and Lakeview Wildlife Management Area because you never know where a plover might show up. By June, we focus on sites where pairs of plovers have been regularly observed and are likely to nest. Over the past few years, Piping Plovers have been observed at Sandy Island Beach State Park and Lakeview Wildlife Management Area and we are hoping they will return in 2017. In 2015 and 2016, they were observed nesting, which was the first time in over thirty years! The Great Lakes population of the Piping Plover is federally endangered and most of the population breeds in Michigan. Having Piping Plovers on Lake Ontario during the breeding season is incredibly exciting–every single individual Piping Plover is significant! The role of the volunteer early in the breeding season is to search for birds and document where they are. If birds, and even more notable pairs, return, a volunteer’s role is to compliment the work of seasonal staff to monitor and encourage people and their pets to respect designated bird nesting areas, which are noted by signs and fencing. Volunteers may also assist DEC or State Park staff in setting up fencing and play a critical role in conservation by helping to ensure disturbance is at a minimum. Access to the sites varies by site and might involve a long walk on the beach or a canoe, kayak or boat. Volunteers need to be comfortable with and capable of these forms of transport. A full training will be provided on May 24th at Sandy Island Beach State Park. Please email or call Jillian Liner at the number below if you are interested and want to learn more! On December 8, 2016 the International Joint Commission (IJC) approved Plan 2014 — an agreement Audubon and our partners has been fighting to be adopted for years that provides for the sustainable management of water levels into Lake Ontario and the St. Lawrence River. “Audubon New York thanks the International Joint Commission (IJC) and the governments of U.S. and Canada for reaching a balanced agreement for the management of water levels in Lake Ontario and the St. Lawrence River. Plan 2014’s sustainable water level management plan, represents a truly historic opportunity to incorporate the best available science to restore over 60,000 acres of wetland habitat for the benefit of birds and wildlife, including state and federally listed endangered species like the Black Tern and Piping Plover, while improving economic opportunities and shoreline resiliency in both New York and Canada. The Great Lakes are a remarkable ecosystem that is essential to the economic, cultural, and natural heritage of the region, including New York. Over four million New Yorkers, and thirty million people nationwide, depend on the Great Lakes for their drinking water, recreation, health and overall quality of life. Recreational boating, shipping, fishing, hydropower production, and ecotourism on Lake Ontario and the St. Lawrence River are important drivers of the respective regional economies. In addition, along the Lake Ontario-St. Lawrence River ecosystem, Audubon has identified twelve Important Bird Areas (IBAs) that provide critical nesting and stopover habitat to hundreds of thousands of birds each year, including many federally and state-listed threatened and endangered species. used to control the water levels of Lake Ontario and the St.
January 30, 2012 made everything sound so simple. predictable water flow in the St. Lawrence. to allow passage of ocean vessels. of lakeside marshlands, the IJC has proposed Plan BV7. protection structures if water levels will be higher. this will strengthen the recreational economy. environment and seek the wisdom to fix those we can. it is a start toward a better future. high and low water periods in a century cycle. times while reducing erosion at other times. The post World War II period was a free wheeling development dream in which the federal government was a primary player. Unbridled enthusiasm for “progress “brought the interstate system with the Thruway running through the heart of Montezuma National Wildlife Refuge. Incomprehensible to me is the fact, relayed by the late Dr. Harold H Axtell that the state received at total of FIVE letters of complaint about such an outrageous assault on natural values. In such a heady time it is little wonder that progress projects, such as the navigation and power alterations along the St. Lawrence River, flew through Congress as necessary for the security of the nation. Today’ any such efforts would be subject to the National Environmental Policy Act (NEPA). It is hard to believe that the “seaway” project with its environmental and human costs would fly today. The destruction, by submersion, of several villages and other human habitation, primarily in Canada, would likely be met with far less acquiescence than in the mid -1950s. A mere two decades after the passage of NEPA opposition on both sides of the border torpedoed plans by the US Army corps of engineers to make navigation on the river year round. One could hope the playing fields have now changed for the better. Unfortunately these mega-projects of the recent past have cost us dearly ecologically while the shipping companies raked in the profits. Scientists predicted decades ago that the introduction of invasive species Into the Great Lakes would occur because of improper management of ships ballast water. Even though this was obvious these companies made no changes until forced by regulations since it might cost them a few dollars and harm their profit margin. Only recently have legislators and agencies developed regulations to control introduction of aquatic invasive species. While these efforts are highly desirable and badly needed, to prevent future invasions, it’s a bit like the proverbial locking the barn door after the horse is stolen. Given the problems caused by the navigation and power interests the sins of the fathers (almost all were male), who altered this natural system in the name of progress, are coming home to roost. During this century what was once an occasional problems for birds along Lake Ontario and Lake Erie has become very serious. That problem is Type E botulism outbreaks, which has killed thousands to tens of thousands of fish eating birds. While the botulism organism is native the primary method of transmission via zebra mussels to round goby to fish eating bird relays on two invaders. The end result of this short food chain seems to be intense toxicity impacting many species. 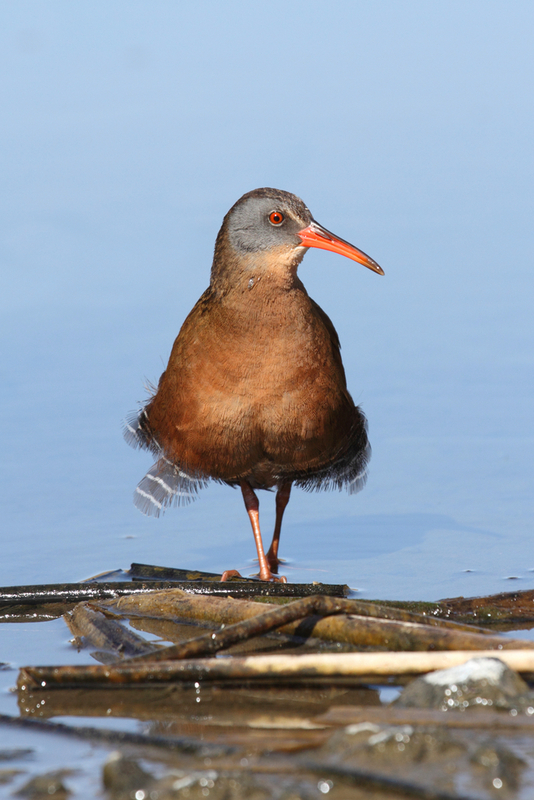 Some waterbirds and waterfowl appear more sensitive than others. In addition the intensity and timing of outbreaks varies apparently largely due to fluctuation in annual weather conditions. The New York State Department of Environmental Conservation has conducted some monitoring in past years but consistency is lacking. Information that is available suggests that severe mortality occurs during high outbreak years for certain species. Common Loon, Long-tailed Duck and Caspian Tern are often among the hardest hit species. As many as ten to fifteen thousand or more Common Loons may have perished on the Eastern Great Lakes in the last decade. These loons originate from the large Canadian and Alaskan Boreal Forest population where their numbers are not monitored. Even though this population is quite large such losses, to a very slowly reproducing long-lived species, must be having adverse population impacts. Frankly the loss of so many of these magnificent creatures because of us makes my stomach churn. Such an effort could address this difficult situation particularly in years with heavy mortality. At such times secondary poisoning of eagles and other species that scavenge carcasses is a high probability. Ideally these carcasses would be removed and made unavailable to scavengers. Such a combined government/ private partnership could gather useful data while reducing the likelihood of secondary poisoning through removal. Good volunteer training and DECs legal authority would make such a project feasible. All that is required is the commitment of necessary resources and the will to make it happen. So assuming that for the moment there are no practical options for carcass removal without large scale DEC led efforts, what can one do to make a contribution? Well if you are out walking a Great Lakes beach and find a dead waterbird or waterfowl, take three or so photos with your cell phone camera from as many angles as possible. Email me these photos with time and date stamp including the location as best as you can determine it to the address below. I will reply and identity the creature, if needed, as best I can. We will start a database of these photos that may have future value and can be developed with little extra effort. It is sad that the best we can do is a post mortem on these losses. These birds, and indirectly those of us who enjoy their presence, are paying the long- term freight for the shippers’ greed and neglect. The “St Lawrence Seaway” development is our regions equivalent of attempts to drain the Florida Everglades. All this stupidity was justified by economic progress and Cold War hysteria during the “family” fifties, which leaves us with the current mess. Hopefully such a regrettable mega project would not fly now. But I wonder as I see elements of the ghosts of the mid twentieth century in the arguments for ” progress “presented by the advocates of large-scale poorly considered energy development projects in the twenty first century.